Janet Lauer is the Director of 3 Rivers Clean Energy, an economic and workforce development initiative founded in 2006 with a mission to grow the energy industry in the southwestern Pennsylvania region. Prior to this role, Ms. Lauer served for nearly eight years as Senior Vice President of the Allegheny Conference on Community Development, a private nonprofit leadership organization dedicated to improving the economy and quality of life of the Pittsburgh region. Ms. Lauer also spent 20 years in corporate research. She held the position of Operations Manager for the Northrop Grumman Science and Technology Center and had the opportunity to build the 150-person Pittsburgh-based research lab. Prior to that she served as Operations Manager for the Westinghouse Science and Technology Center and spent many years as a scientist in the labs, working primarily on energy related projects, including battery development for electric vehicles in cooperation with Chrysler Corporation and the Idaho National Engineering Laboratory. She holds an undergraduate degree from the University of Pittsburgh and a master’s degree from Carnegie Mellon University. Mr. Franckhauser is the Director of HBK Energy, LLC. HBK Energy (HBKE) is a division of HBK CPAs & Consultants, a national accounting and financial services firm with 15 offices in Pennsylvania, Ohio, New Jersey and Florida. Under Steve’s leadership and direction, HBKE brings value to businesses involved in energy, manufacturers and other entities, governments and end users of energy by matching their financial needs to the energy marketplace. Energy concerns are the economic catalysts of this century. Shale energy, renewables sources, alternative fuels and fossil fuels all bring unique opportunities, challenges and financial incentive and disincentives. Steve brings experience and practical application to each task. Involved with energy concerns for two decades, he practiced law for a quarter-century, focusing on commercial enterprise, business development and, of course, energy. He is the past general counsel of an international Architectural and Engineering firm and is a frequent speaker on energy matters to business and government groups alike. In addition to consulting with businesses and resources owners across Ohio, Pennsylvania and West Virginia, he is an Adjunct Professor of Law at the Duquesne University School of Law, contributes to the Penn State Extension programs on Shale development and is an Adjunct Professor at Penn State University’s Beaver campus in Monaca, PA.
Steve received his B.A. from The Ohio State University and his Juris Doctorate from the Duquesne University School of Law. He is currently pursuing his masters in taxation at Robert Morris University. Steve serves on various industry-related organization boards, is a frequent lecturer and speaker on the economic development and opportunities provided by shale energy and acts as a liaison between various concerns both within inside the energy industry and those seeking entry. HBK Energy is a proud member of PIOGA, OOGA, the New Jersey Renewable Energy Committee and part of the network of energy analysts of the BDO Alliance. HBK Energy stands uniquely poised to help your business prosper in shale and other energy arenas. Prepared Specifications and Request for proposal for Allegheny County, Pennsylvania Oil and Gas Drilling rights for Deer Lakes Park. This landmark matter was handled entirely within and resulted in the politically successful oil and gas drilling lease between a governmental entity and Range Resources. Included within the scope of work was an assessment of the contractual payment terms and amounts. Northwest Savings Bank. Retained by NWSB of Pennsylvania to provide Market Pricing Reports for properties secured under foreclosure. Notable in the fact that NWSB secured services based on recommendation of the Oil & gas Division of NWSB. Certified Mineral Managers by the National Association of Royalty Owners. Pittsburgh Business Times Who’s Who in Energy 2013-2014. Pennsylvania State University. Chosen by The Pennsylvania State University Natural Gas Extension program to present royalty assessment seminars and educational sessions. Guest energy lecturer The Ohio State University Fisher School of Business. PIOGA natural gas utilization and infrastructure committee. Consultant to the Center for Responsible Shale Development. Ohio Society of Certified Public Accountants Natural Gas steering committee and presentations. Pennsylvania Institute of Certified Public Accountants Natural Resources Committee and presentations. Conceived and co-developed Market Price Reporting for Appalachian Basin. David Dernar, C.P.A, is the operating manager of Dernar & Associates, LLC, a public accounting firm located in Murrysville, Pa. Licensed in both Pennsylvania and Georgia, Mr. Dernar has been practicing public accounting, with a concentration in auditing, since 1968. He is a member of the Pennsylvania Institute of Certified Public Accountants’ state education committee and is also a past chairperson. Mr. Dernar sits on the executive board of the Regional Development Funding Corporation and the Murrysville Economic Community Development Corporation. He is also the president of EMS Southwest, Inc., an ambulance service located in Waynesburg, Pa., as well as the operating manager of Dependable Ambulance Billing, LLC, located in Murrysville, Pa.
Robert H. Beatty, Jr. is an award winning speaker, avid compressed natural gas (CNG) advocate, and CEO of “O” Ring CNG Fuel Systems, L.P.—a PA company dedicated to both promoting and providing a pathway for the use of CNG as a vehicle fuel. His accomplishments in the CNG industry have been featured on In View with Larry King, the PA Senate Film Channel, in the Pittsburgh Business Times, NGT News, NGV Today, as well as various other media outlets. He has helped clients recognize vast savings in fuel costs while utilizing cleaner, more efficient CNG for their fleets. Most notably, he has completed full-scale CNG projects for clients as well as building and operating three of his own public CNG stations. 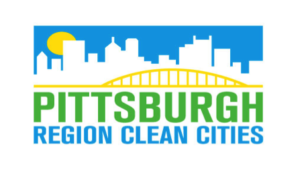 He serves on several industry-related committees providing direction on regulatory and safety concerns for CNG solutions, including Pittsburgh Region Clean Cities Board of Directors and Chairman of the PA Independent Oil and Gas Association’s Alternative Fuels Committee. Mr. Beatty received the 2013 Pittsburgh Business Times Energy Leadership Award and the 2014 International Clean Tech Award for his work in revolutionizing the US transportation industry. He holds certifications from the Natural Gas Vehicle Institute (NGVI) of America in both CNG Fuel Station Design & Construction and CNG Fuel Station Management and has over 30 years experience in the natural gas and compression industries. A staunch patriot, Robert is passionate about changing the landscape of the transportation sector by increasing the use of natural gas to provide a cleaner, more affordable, domestic fuel source for Americans. Mack Godfrey is employed by NiSource, the parent company of Columbia Gas. He is an engineer who has worked in the energy field for more than 35 years and is a Certified Energy Manager. Mr. Godfrey has been involved in a number of alternative fuel projects and clean initiatives, including fueling equipment as well as vehicle fleets. Though Mr. Godfrey’s primary work has been with CNG, he has also had exposure to other fuels, such as hydrogen and propane. Joyce Turkaly has worked at PIOGA since May 2013. As Director of Natural Gas Market Development, she works with government agencies, industry groups, and local utilities in order to identify and help shape policy that will expand end-use markets for Pennsylvania’s natural gas and oil producers. Presently, she is concentrating on developing the downstream markets for natural gas vehicles and associated fueling infrastructure; gas-fired electric generation and infrastructure, high horse power applications in the rail, marine, oilfield and off-road sectors as well as export of Liquefied Natural Gas (LNG). Previously, Joyce worked in the retail energy commodities business for Hess Corporation, where since 2002 she held various positions in the Ohio Valley Region. She began her career at a time when the natural gas market was deregulating; since 1990 she has held various downstream assignments in industrial sales, marketing, contract management and natural gas procurement for First Energy Corporation, Atlas Gas Marketing and The Peoples Natural Gas Company. Charles Cross is the former President of United Oil Company, a specialty industrial lubricants manufacturer founded in 1906 with products specially designed to assist customers with increasing productivity, reducing costs, improving safety and being environmentally friendly. In 2005, Mr. Cross led United Oil to become the first commercial biodiesel manufacturer in Pennsylvania. Mr. Cross also founded Shepherd Computer Services, a computer hardware design and manufacturing company in 1986. Additionally, he is a prior president of PRCC’s board of directors. He holds a bachelor of science degree in business administration and finance from Denver University and a bachelor of science degree in electrical engineering from Widener University. Lee Herbermann is presently the Bio-Fuels Division Manager for Export Fuel Co. Inc., located in Export, Pa. He is also an EPA-certified instructor, teaching the Tank Owner Training Program for the Petroleum Retailers & Garage Repair Association. Mr. Herbermann has more than forty years of experience working for major oil companies in petroleum marketing and terminal operations, handling the sale of petroleum products in a multi-state area. Various positions were held during that time including: manager of terminal operations, distribution manager, manager of company owned assets, auditor, special projects coordinator and sales manager. Over the years he has started and operated several small businesses along with a real-estate business he still operates. Jack Halpern is presently Fuel Procurement Manager for Gulf Trading & Transport LLC of Blairsville, Pa., with offices located in Braddock, Pa. He currently buys, sells and trades in coal, limestone and other natural resources and has 25 years experience in the coal and limestone marketing industries. He believes it is necessary to have a good balance between industry and environmental concerns and works toward that end. Mr. Halpern has been a member of PRCC’s Board of Directors for three years. He is a lifelong resident of Pittsburgh and a graduate of Penn State. Ron Schramm, President of ProGas Inc., operates ProGas locations in Zelienople and Aliquippa, PA. Ron has been in the oil and gas propane business for40 plus years and brings a great deal of knowledge of the propane industry to PRCC. His propane knowledge is extensive and underlies the upbringing of shale developments in the Marcellus and Utica. Click here to learn more about ProGas and their mission. Andy is well prepared to lead SPC’s Transportation Department, with over 15 years of diverse transportation and community planning experience. He has been with SPC since 2015, with the chief responsibilities of developing of the region’s Transportation Improvement Program, administration of SPC’s discretionary funding programs, and providing oversight and management of a variety of diverse programs and initiatives as the Manager of the Transportation Program Development Group. Prior to joining SPC, Andy worked in various capacities at the George Washington Regional Commission in Fredericksburg, Virginia where he most recently served as the Transportation Planning Director. His expertise in the fields of the metropolitan transportation planning process, multimodal long-range planning, project evaluation and prioritization, corridor planning, interagency coordination, policy analysis and project programming leave him well suited to oversee the regional transportation planning process for the 10 county Southwestern Pennsylvania region. Andy has also previously worked in private sector, as a municipal planning consultant in Central and Western Pennsylvania. Andy is a graduate of Indiana University of Pennsylvania with a B.S. in Urban and Regional Planning and is a member of the American Institute of Certified Planners. Chuck Wichrowski is the owner of Baum Boulevard Automotive. His shop is an independent auto repair shop and Bosch Authorized Repair Center, servicing and repairing all types of vehicles with additional emphasis on European, Asian, diesel and alternative fuel cars. His technicians have advanced training in CNG, biofuels and hybrid propulsion systems. His business has been a retailer of B100 biodiesel for more than 12 years and have a continuing program of educating his customer base about sustainable practices and alternative energy through the company’s website, newsletter and Facebook page. Baum Boulevard Automotive also partners with Carnegie Mellon University (CMU) Robotics Institute in its ChargeCar project. The plan is to convert sixth generation Honda Civics to 100 percent electric drive using a kit developed by CMU that could be installed by most auto repair shops. Barry Kukovich is the Director of Communications and Community Affairs for the Peoples Gas Company. He is responsible for developing and managing the company’s overall strategic and ongoing cultural change. Barry has Forty years of progressive leadership and senior-level experience as a communications professional in the nonprofit, higher education and business (utility industry) sectors. His areas of strength include strategic planning, marketing, issues management, customer service, public relations, media relations, crisis communications and program development. Mike Lickert is Giant Eagle’s Corporate Fleet Manager, as well as the project leader for its Compressed Natural Gas Project. The company has more than 200 vehicles in its fleet, more than 300 stores and 160 GetGo gas stations. In 2010, Giant Eagle used more than 113,000 gallons of B100. In addition to serving on PRCC’s board, he is also a member of the Greater Pittsburgh Foodbank’s Board of Directors and the National Private Truck Council’s Board of Governors. Mr. Lickert has 31 years of experience in supply chain with Giant Eagle and earned a Certified Transportation Professional (CTP) Designation in 2006. At Duquesne Light, Sarah works to build and implement the company’s electric vehicle (EV) and charging infrastructure strategy. Prior to boomeranging to her hometown of Pittsburgh in 2018, she managed transportation projects that increase energy efficiency and reduce emissions through the convergence of connectivity, automation, shared mobility, and electrification at the U.S. Department of Energy in Washington, DC. Sarah also promoted fleet electrification and employee charging availability at Federal facilities at the White House Council on Environmental Quality. Under President Obama’s EV Everywhere initiative, she launched the Workplace Charging Challenge with the goal of increasing workplace charging availability across the country. She also managed the technical component of the $25 billion Advanced Technology Vehicle Manufacturing Loan Program which supported the manufacture of the Tesla Model S and Nissan Leaf. Sarah began her career at the US Fuel Cell Council, the automotive trade association for the hydrogen fuel cell industry. Sarah received a M.S. in Energy Policy and Climate from Johns Hopkins University and a B.S. from Muskingum University in New Concord, OH.